Window treatments are not only important from style and decor point of view but they are lot more functional. It is where Gator Blinds comes as a trusted partner in your look out for the perfect window treatment for your space. 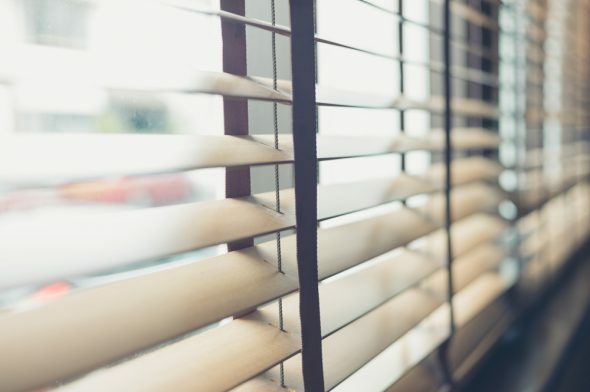 Since inception, we have been offering an extensive range of residential and commercial blinds, shutter and shades, motorized shades, custom draperies, curtain rods, accessories and hardware. Along with this come free in-home consultation and estimates and professional measuring and installation services. Shades available in different styles and materials make for the most basic yet highly functional and stylish window treatment options. Let us begin with looking for the different window shades available. The most simple of all shades, the roller shades easily fit into window casement and come with pulley type system to roll up or down the shade as per requirement. Today motorized shades have come in that are provided with a lift mechanism. You can choose from bamboo, and a variety of other fabrics to match the room’s decor. You can accentuate them with tassels, trim and other accessories available on demand with gator blinds. Unlike the roller shades that need a lift mechanism, you can simply roll up the shades to your desired height and then tie them up with ribbon or ties provided with them. For some tying and untying the ribbons can be tiresome and so most people avoid it. However, those who are looking for that personal touch to their window treatment can pick surely pick them up. They are seen as a DIY window treatment where anyone who is good with sewing machine can lend a decorative touch. Roman shades we can say they are somewhat between balloon shades and roller shades; they hang down when closed and pull up into horizontal pleats. Normally made of heavy fabric, roman shades also come in bamboo. Complementary in style, they go well with every window treatment and is available in huge variety of colors and patterns. Alike the roman shades, these shades are also made of one fabric however; they do not have drape and look more like slats when they are pulled up. If you are looking for energy efficient window treatments, honeycomb shades can be a perfect choice. They are able to trap the air and keep the room cool and then in winters it can trap the heat thus making the room warm. Convenient and hassle free, motorized shades work with a push of a button. Some come with remote control thus giving you complete control over the amount of light that should come in. Designed for giving you greater control over light and filter sunlight. While allowing perfect light to come in, they also do not block the outside view. When privacy is not an issue, pick up the sheers or the semi sheers and enjoy the natural light. The fabric allows the natural light to come in and also add up a decorative element to the room they are used in. They work well with African decor and even work good with Asian decor. The rooms where you want a casual look but still stylish, Bamboo shades make for a perfect pick. If you want to bring in the old world charm to your bedroom or living room, Balloon shades are a perfect compliment. When pulled up, they roll beautifully giving a balloon look to the shades. Sheer or silky material is the best suited for such a window treatment as they roll up and down gracefully. Not for every decor, this window treatment is best suited for cottage, French country decor. However, be careful while making choice of colors and patterns. We hope that this write-up would prove useful when you make a choice for the best window treatment for your space. PreviousPrevious post:What are the Best Blinds for Large Windows?NextNext post:What is a Solar Shade?